Spanish Particular, aka Dioni & Jose, will be popping up as a Spanish tapas restaurant at Cafe Norris & Knight at 118 Forest Hill Road, SE22, for 6 months from 1st November 2018. 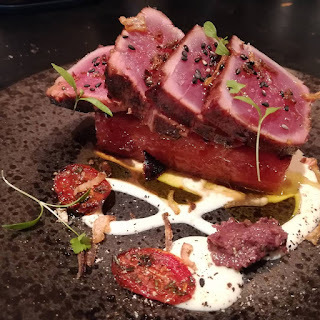 Serving Thursday to Saturday evenings, they will be serving up an authentic menu of tapas, sharing their passion for Spanish cuisine & food culture. "Really happy to announce our new venue! The lovely @cafenorrisandknight in Forest Hill rd will host us for the next months starting on 1st of November! Can't wait to start serving our tapas, we have missed you!! We are already taking bookings!"